A few weeks ago we were in Bude doing a spot of shopping and decided to pop into a small shop called ‘Shabby ‘n’ Chic’ on the Parade. It sells all sorts of vintage household items as well as things like home made cushions and bunting. On the floor there was an old wooden box, containing the mixed remnants of a tool kit. 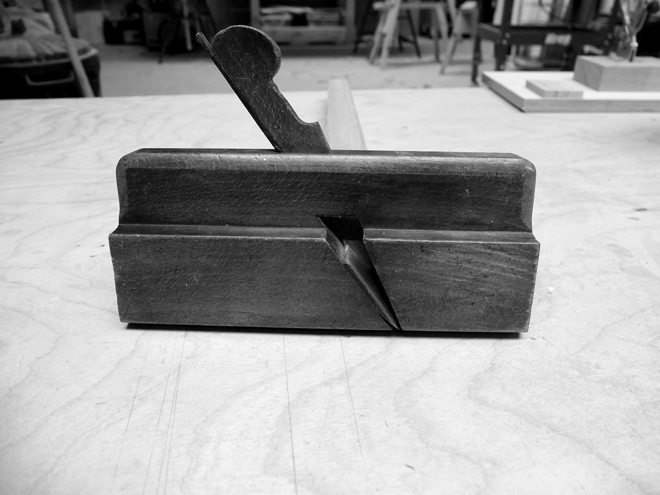 I rummaged through and found a few old wooden moulding planes. 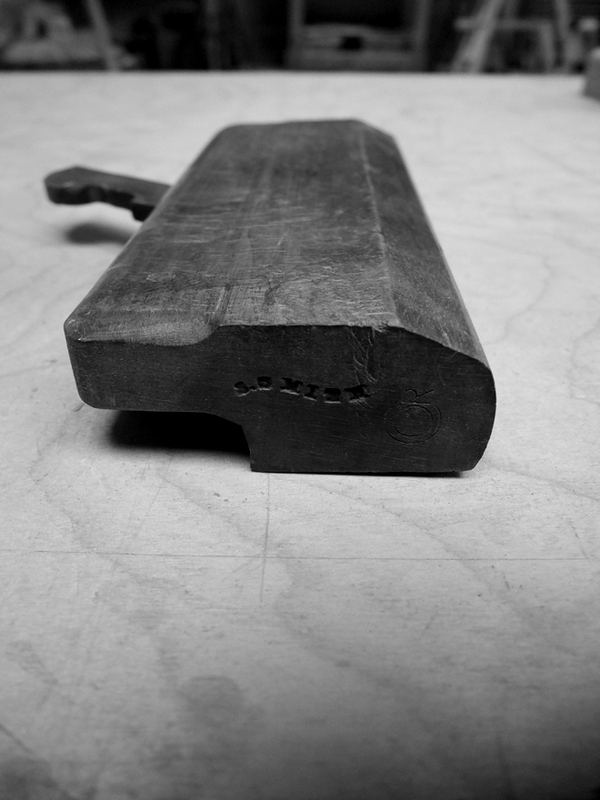 These traditional tools were used for creating decorative mouldings and have now been largely replaced by the router and spindle moulder. They still have their uses in cleaning up shaped work but are no longer part of the standard tool box for many woodworkers. This means you can often find them second hand at reasonable prices. After inspecting the ones in the box I found one in really decent condition. £5. I really like old tools for their detailing and general appearance. They often have the name of the original owner stamped into them and have a sense of history. 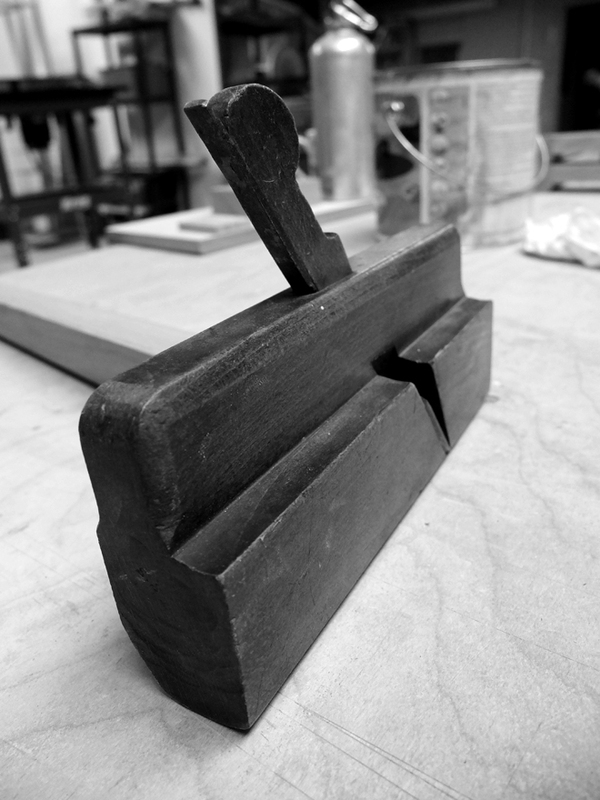 A lot of old tools are bought for the decorative value and end up sitting on shelves in themed pubs or interiors so buying one to actually use in a workshop as a tool felt a bit like rescuing it. It set me thinking on how I might I might use it in my practice and I have started to design and make a piece where I am using it to create a textured surface. Posted May 22nd, 2012 in Blog, Workshop.